Like music can bring out certain emotions when you hear a melody or lyrics, jewelry can have a similar effect. An enormous amount of energy, money, and heart goes into the making or selling gold jewelry, necklaces, or other elegant items. Most notably, weddings, birthdays, and Valentine’s Day are the most popular times when jewelry is sought. It is not always the act of obtaining the piece, rather the reason(s) and setting that really have the impact. 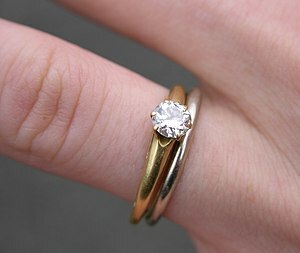 Becoming engaged and receiving a ring can be the most cherished moment on a women's life...if done right! Consider the difference in these two scenarios; first, a man buys an engagement ring without much thought or consideration for what would be most suitable for his true love. He then shows up at his girlfriend’s work and calls her out to surprise her with a black velvet box. Now, is the girl going to get really excited and have one of those memorable experiences that can give her a feeling she will never forget? Well, this is not the most romantic and awe-inspiring setting or moment for creating that once-in-a-lifetime memory. However, this may be just fine for some women…to each her own. Secondly, what about this little scenario? A young man takes time to figure out who is planning on marrying, what she likes or dislikes, the kind of jewelry that she dreams of owning, or her favorite precious stone and uses this information as a means for finding the perfect engagement ring and wedding band. He arranges a private and very romantic date to set the mood and create a mindset that will lock the moment in time. Whether it is a beautiful country-side filled with her favorite wildflowers and scenery or an evening of dinner and romantic walks along the beach, the setting will be a huge part of accomplishing a memorable moment. Of the two, it is easy to see which has a likelihood of providing a breathtaking experience that will be cherished for the rest of her life. It is not always possible for some men to provide the expensive ring set or most pleasurable surroundings. If this happens to be the case, as it was in my situation, it is the amount of deep and profound love that is already felt between the two of you that can make up the difference. Fortunately for me, my wife of over 25 years saw that I truly and deeply loved her and was sincere when I proposed. Love is never wasted when there are true and genuine feelings so deep they can not be diminished or swayed by that which is based upon material objects; indeed, this is unconditional love. In 1922, King Tut’s tomb was a modern day discovery that shocked the world and brought into clear sight the beautiful and priceless artifacts created over 3,200 years ago. Fascinating would be an understatement in describing the entire process and excavation. Howard Carter was financed heavily to undergo what would be one of the most priceless discoveries in contemporary times of the early 1900’s. 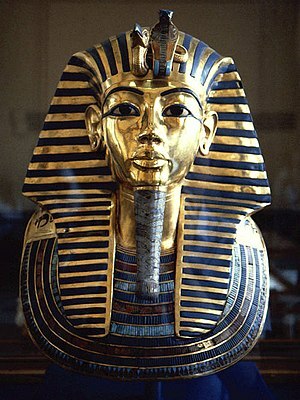 This mask is one of the most treasured artifacts from King Tutankhamen's tomb. When making the actual discovery of the tomb, and subsequently the sarcophagus, there was also a discovery that the tomb had been robbed. In fact, it is a strong possibility that two robberies occurred during the 18th dynasty; this being the time period of King Tutankhamun. In one sense it was not a terrible result since the more intricate and prestigious relics were yet to be discovered. One reason for this is the immense weight of the objects enclosing the actual mummy of King Tut and the sarcophagus. With amazement and anticipation, the outcome of the entire dig proved to be one for the record books. Once all of the preparations were done and careful planning completed, the work moved forward to carefully and painstakingly. With such enormous amounts of time being used to ensure a successful and non-damaging approach, the patience of Carter and his team must have been truly tested. Apparently, it was the professionalism of Howard Carter that truly preserved the precious items being pulled out of the tomb. For the most part, river transportation was used to move the artifacts with the train being used on one occasion due to the weight and significance of the pieces. An armed guard was part of the protective measure utilized for such a magnificent discovery. Sheer and utter elation was felt throughout the 10 year process of removing and having each piece catalogued. A tremendous amount of photographic evidence was created to help preserve the initial experience. Imagine the feelings and emotions being felt by Howard Carter and his team on that first day of discovery. Little did they know at the time how much gold was used and jewelry items that were created to honor this young man for centuries to come. Today, this collection can be seen in Cairo as a complete piece of history ready for a contemporary time to receive in awe. 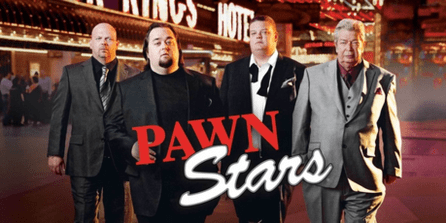 After watching Pawn Stars or Cajun Pawn Stars – or both if you are into all of that – do you get the impression that these are the kind of people you are going to meet when you check out your local pawn shop? Hopefully, your fantasy world does not follow you after changing the channel. It is safe to say that most people would love to have a great time when shopping at a pawn shop. Do they necessarily want to be part of the drama in person? Probably not; at least for the non-drama seeking folk this would be the case. At any rate, having a positive attitude and seeking out the best deals will certainly improve the likelihood of enjoying the outing. From having opportunities to use a pawn shop, people sometimes are so focused on their personal situation that they miss out on the pleasantries the representative is trying to share. I believe that these pawn shop employees are well aware that most customers who drop in are going through some kind of a financial hardship. Their goal appears to be one where each customer is given every positive consideration possible in an attempt to lighten the mood or distract from the challenges anyone may be facing. I find this to be quite admirable and extremely considerate coming from a customer’s perspective. Seeing businesses taking special care to put the customer first puts the mind at ease. Furthermore, it can reduce anxieties or stress for the most troubled of the clients. In short, be realistic of your expectations when taking advantage of the business a pawn broker offers. They are in business to provide a service in your time of need.